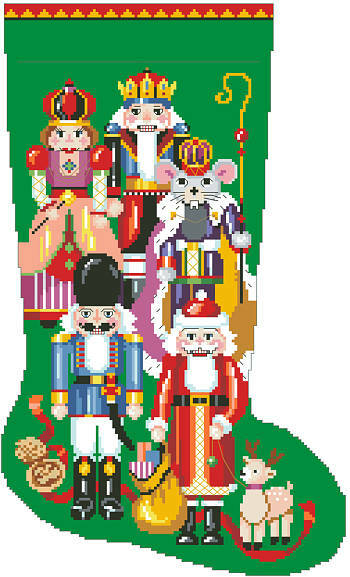 A nutcracker for a stocking for Christmas, what more could a little girl or boy want? This unique motif combines a variety of classic nutcracker designs from around the world. Sparkling embellishments enhance the beauty of the design. Contents: Stitch count 124w X 206h, Finished size on 14 count: 8-3/4" X 14-5/8"